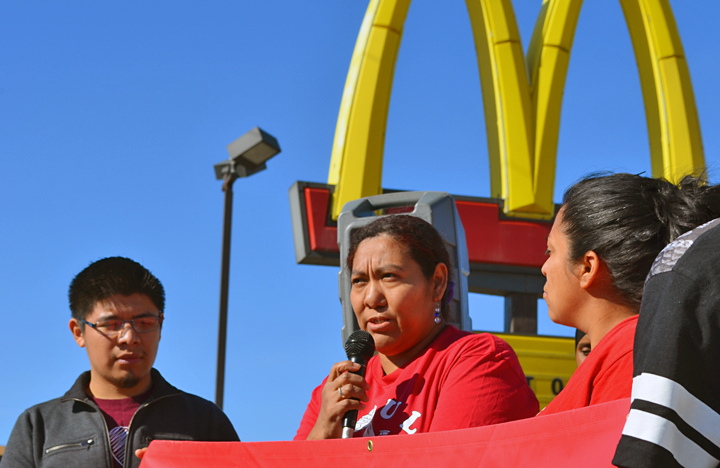 Fast food workers in the Twin Cities today announced plans for their third strike in the last seven months, an indication support is growing for their fight to win wages of $15 per hour and union rights. Those demands haven’t changed since fast-food workers first walked off the job in the Twin Cities last September. The number of strikers nearly doubled during a second Fight for $15 walkout Dec. 4, when 50 workers from 14 metro restaurants participated. 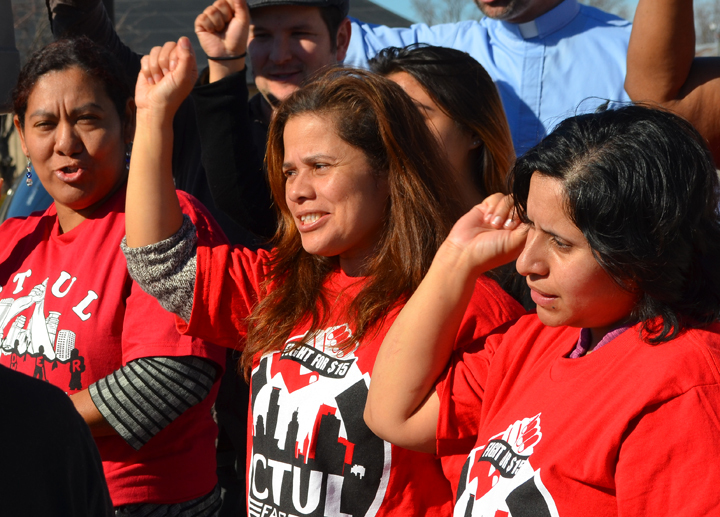 The worker center CTUL, which supports organizing in the fast-food industry locally, staged the press conference to announce the April 15 strike date. As cars sped past on Hiawatha Avenue, representatives of student groups, unions and the faith community pledged to stand in solidarity with the striking workers. Organizers are planning a rally at the University of Minnesota at 4:30 p.m. April 15, followed by a march to the Dinkytown McDonald’s. Click here to view the Facebook event page. The local mobilization among low-wage workers will coincide with actions across the country – and in Italy – in support of higher wages, racial justice and union rights. Rev. Doug Mork, pastor at Cross of Glory Lutheran Church in Brooklyn Center, said rising income inequality is a concern among people faith across the world.